afternoon tea in one of Bristol's hidden wedding venues. 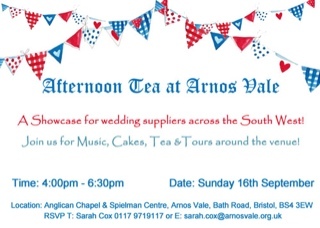 Arnos Vale will have free music, cakes, tea and tours around the buildings and general site. They are licensed to hold both Anglican wedding and civil ceremonies and can hold ceremonies from 2 people right up to 106. 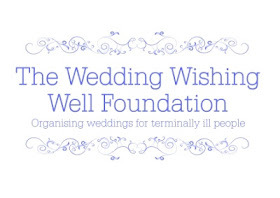 They also have on site caterers who can cater for up to 80 people for a banqueting style reception or up to 220 for a chilled out and relaxed buffet option. Arnos Vale know that getting married in a cemetery might seem like an odd idea, but how many wedding already take place in chapels and churches sat amongst grave stones. Arnos Vale say "This is an unusual, unique, funky, tranquil, beautiful, scenic venue and offers something a little different to the norm! If you have a couple looking for somewhere a bit different and a venue with a difference but without compromising on location or surroundings then please come along on the 16th September and find out more about Arnos Vale for yourself." So, if you want to come along then call Sarah on 0117 9719117 (extn 202) or email sarah.pavey@arnosvale.org.uk leaving your name, business type/name and how many are going to be attending with you.